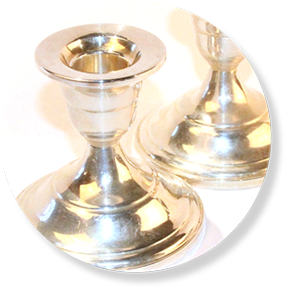 We can tell you how much that set of sterling silver set is worth and offer you top dollar for your sterling silver items. Bring in your complete or partial sets of sterling silverware today! Holloware items include metal tableware like platters, water jugs, coffee pots, teapots and soup tureens. At Vegas Gold Buyers we not only evaluate your sterling holloware, we offer top dollar for your items! Selling your unwanted sterling silver is simple! Just bring in your sterling silver items in any condition. Vegas Gold Buyers is located inside Lynn’s World Consignment on Tropicana and Eastern Avenue. Come on in and let any one of our staff know that you would like to sell your sterling silver items and our sterling silver buyer will inspect your items while you wait. Our buyer will make you an offer based on today’s trading price of precious metals. If you accept our offer, you can walk away immediately with cash in your pocket! The entire transaction normally won’t take more than just a few minutes. 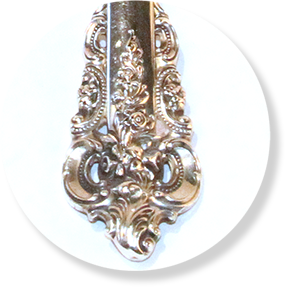 We buy any item made of sterling silver or containing sterling silver – silverware, holloware and general goods items including antique belt buckles jewelry, coins, necklaces, bracelets, rings, or even scrap sterling silver you may have including broken pieces of sterling silver or holloware. Holloware items include metal tableware like platters, water jugs, coffee pots, teapots and soup tureens. The condition of your items won’t impact the value. And, we will gladly offer insight into the origin of your sterling silver item. We use real-time sterling silver prices according to the US stock market and pay top dollar to get you the maximum amount possible for your fine sterling silver jewelry, sterling silver coins and Native American sterling silver items. We also pay top dollar for items made from gold or other precious metals including jewelry, coins, necklaces, bracelets, rings, or even scrap gold items.